Prime Minister Benjamin Netanyahu, only just back from China, was back overseas on Tuesday, meeting with President Vladimir Putin to ensure –- or more accurately to plead — that Russia refrain from sending Syria four S-300 batteries, a $900-million, long-range aerial defense system that, Israeli experts say, would change the calculus of Israeli and U.S. involvement in Syria. Russian state TV was even more explicit. “After the S-300s are put into service, a repeat of the Libyan scenario — the imposition of a no-fly zone over the country — would be extremely difficult,” the Wall Street Journal reported (Russia news channel) Vesti-24 as saying. Nonetheless, Rubin said, it is the fact of Russian unstinting involvement on Bashar Assad’s behalf in Syria, more than the precise nature of that role, which dictates the course of events. A review of Assad’s air defenses, their capacity and their performance in recent years — including after a 2007 upgrade — underlines the importance of the S-300 amid what thus far has been unwavering Russian support. In 1967 Israel destroyed Syria’s air force on the first day of the war. By 1973 the situation had changed. The Russian SA-6 system downed more than 20 IAF planes over Syria. Yet air defense systems, Rubin explained, are a lot like locks. Some are old and feeble. They can be cut with a pair of pliers and tossed aside. Some are familiar. An experienced thief knows how to extract the combination with relative ease. And some are state-of-the-art and keep all but the best at bay. 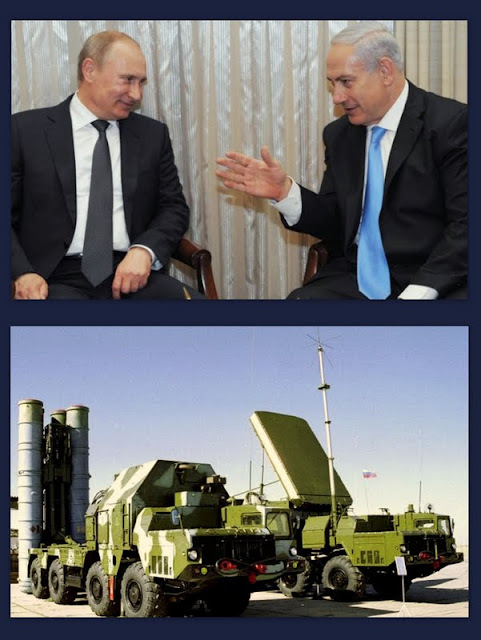 By 1982, Israel, unbeknown to Syria, had cracked the combination to Russian air defense. On June 9, the fourth day of the Lebanon War, after Syria had moved 19 SA-6 surface-to-air missile batteries southwest into Lebanon’s Bekaa Valley in order to protect PLO forces there, Israel launched an attack. Using a combination of radar-jamming electronic warfare, radiation-seeking missiles and, according to international reports, early unmanned aircraft, the IAF destroyed 17 of the 19 batteries and downed 29 Syrian jets without suffering any losses of its own. In September 2007, Israel reportedly exploited its technological advances to blind Syrian air defenses and strike and destroy Syria’s plutonium reactor in the far northeast of the country. The Pantsir batteries were the newest layer of defense, complimenting the old Russian systems from the seventies and eighties. The Israeli news site Walla recently reported that Syria now has eight such batteries. The Wall Street Journal, quoting U.S. intelligence officials, put the number at 36. The discrepancy may be part of the public battle over the quality of Syrian air defenses, which began in earnest in late April when an Israeli general revealed what most Western intelligence agencies apparently already knew: Assad’s soldiers had used sarin gas against rebel troops. This revelation, a clear crossing of President Barack Obama’s red line, pushed the U.S. closer to action in Syria and triggered a flood of leaks from the Pentagon. When briefing the president or his staff, Gen. Martin Dempsey, the Chairman of the Joint Chiefs of Staff, frequently singles out Syria’s air defenses as the single greatest obstacle to U.S. involvement in the conflict, the Wall Street Journal reported several days after the Israeli statement. The paper quoted U.S. intelligence and defense officials as saying Assad’s air defense network was the most advanced and concentrated on the planet. Rubin and Shapir agree that cumulative effect of the systems means Syria’s skies are densely protected but said that today, before the arrival of the S-300, the coverage is more tactical than strategic. “The Pantsir units provide pinpoint coverage,” Shapir said, meaning the batteries defend only small swaths of the sky and only from close range. Technologically, the Pantsir is state of the art. In June 2012, a Pantsir battery shot down an American-made Turkish Phantom F-4 jet somewhere near the countries’ borderline. Yet judging by the airstrikes, reportedly by the IAF, in and around Damascus in January and earlier this month, their lock is easily picked. Many precision-guided strikes, said Shapir, appear to offer a path around the Pantsir. This reportedly served Israel’s purpose of attacking specific weapons shipments. Establishing a no-fly zone – a constant blanket of air cover – is another story, as the Pantsir units are highly mobile and hard to track and could inflict losses on NATO aircraft. Rubin stressed that all locks can be picked and Israel and the U.S. possess the technological means to address such weapons systems, but he said they have yet to be tested on the S-300. Al-Quds al-Arabi newspaper claimed Tuesday that Assad’s army actually already possesses the S-300 system, but that it is under Russian control. This cuts to the heart of the matter: the extent of Russian-Syrian cooperation. More than the technological ability of each weapons system, the very fact of Russian involvement on the ground – in terms of technical support and strategic backing – is pivotal. Labels: Assad, Israel, Lavrov, Netanyahu, Pantsir-S1, Putin, Russia, S-300 air defense system, Syria, The Times of Israel, U.S.